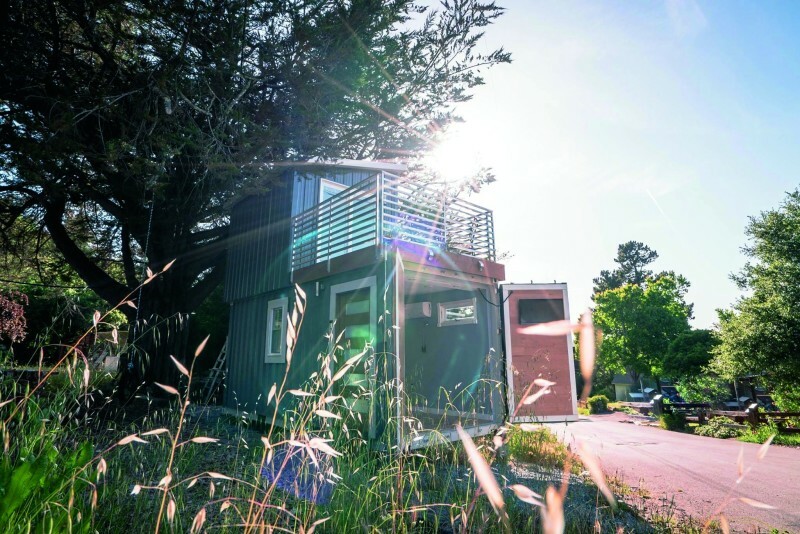 The result was beautiful: a rooftop deck, energy-efficient appliances, composting toilet and solar panel connections, all in a mere 450 square feet. Ultimately, the friend didn’t need the home after all, so Clayton sold it to a real estate agent who was interested in tiny homes. “Then it was on TV [HGTV’s Tiny House Hunters], then it got one million hits on YouTube, so I sold a couple more and I am in the process of building those,” Clayton says of how the endeavor, dubbed Boxed Haus, has snowballed. He hopes to quit his day job in the Stanford maintenance department to focus on the fledgling company full time. However, one cannot simply buy land and start building the tiny house of his or her dreams: While interest in small-footprint living is growing, zoning laws have not kept up with that demand. Locally, there is an option that avoids some of the obstacles. 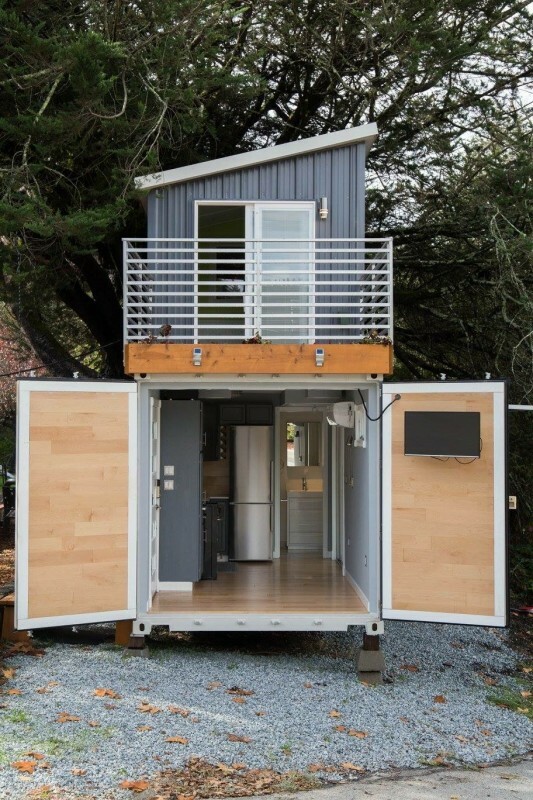 Through the City of Santa Cruz’s Accessory Dwelling Unit Development Program, homeowners with lot sizes greater than 5,000 square feet can get permitted to put a tiny home in their own backyard. According to city data, there are more than 18,000 single-family lots in the City of Santa Cruz. Clayton sees great potential for the tiny home movement locally. And with that vision on his horizon, he’s back to work, spending long nights and weekends in his driveway—one man in Scotts Valley, doing his part, one stylish little box home at a time. This entry was posted in Art, Business, Featured, Local Loop, Spotlight. Bookmark the permalink. So many of us that were born and raised in Santa Cruz county couldn’t afford to stay there.